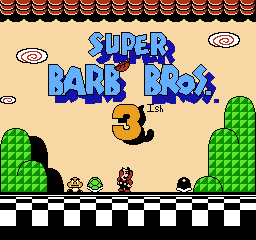 This is Super Barb Bros, a kaizo SMB3 romhack dedicated to the amazing BarbarousKing, otherwise known as Barb or Barbarian. 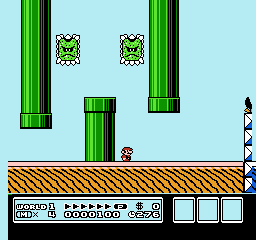 Kaizo is meant to be fun, but brutal in difficulty with nefarious traps, unexpected obstacles, and abuse of the game to produce a difficult experience. With enough dedication and skill building, most of anyone would be able to overcome this game though! 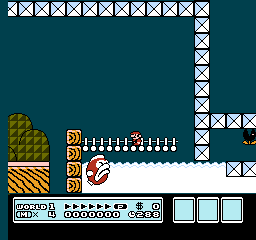 Special thanks to Barb, Freakin_ha, linkdeadx2, theincrediblepaco, and the Kaizo Mario community. Good luck if you choose to take this challenge! I think this is a wonderful hack. Congratulations on this. 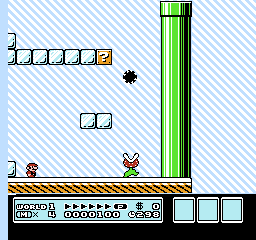 I am only to the third level so far, but it is very fun and very well-made. The creator has been wise to employ certain things like sliding down slopes to gain speed and use them as a setup for various interesting challenges. 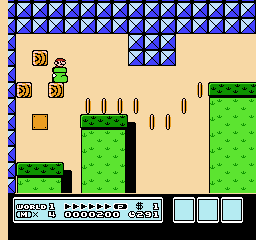 I must say though that this certainly begs the use of save states as multiple blind jumps in a given level doesn’t cater well to having to start over each time new understanding of the level is gained. No complaint, just an observation.